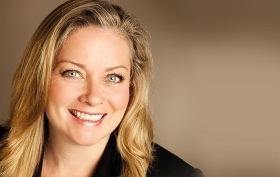 OTTAWA -- Linamar CEO Linda Hasenfratz is one of 13 members of a newly created advisory council on the North American Free Trade Agreement, announced Wednesday by Foreign Affairs Minister Chrystia Freeland. Other members include Rona Ambrose, former interim leader of the Conservative Party of Canada, James Moore, a former minister in the previous Conservative government, and Brian Topp, a veteran NDP strategist, one-time NDP leadership contender and former chief of staff to Alberta's NDP premier, Rachel Notley. The group will help advise the Canadian government on the trilateral trade deal. Canada's chief negotiator in the NAFTA talks is expected to be Steve Verheul, who was the lead negotiator on the recently agreed to trade agreement between Canada and the European Union (CETA). The council also includes representatives of various groups that have the most at stake in the negotiations, among them, Canadian Labour Congress president Hassan Yussuff and Marcel Groleau, president of Quebec's union of agricultural producers. Freeland also announced Wednesday the appointment of one of Canada's foremost trade experts, Kirsten Hillman, as deputy ambassador to the United States, and three new trade-savvy consuls general to be located in Atlanta, Seattle and San Francisco. "With the expansion of our consular presence in the United States and the creation of the NAFTA council, we are furthering Canada's determination to promote Canadian interests and values in our bilateral relations with our main economic partner," Freeland said in a written statement. Other members of the council include Perry Bellegarde, national chief of the Assembly of First Nations, Annette Verschuren, former president of Home Depot, and Phyllis Yaffe, former chair of Cineplex Entertainment and CEO of Alliance Atlantis who is currently serving as Canada's consul general in New York City.